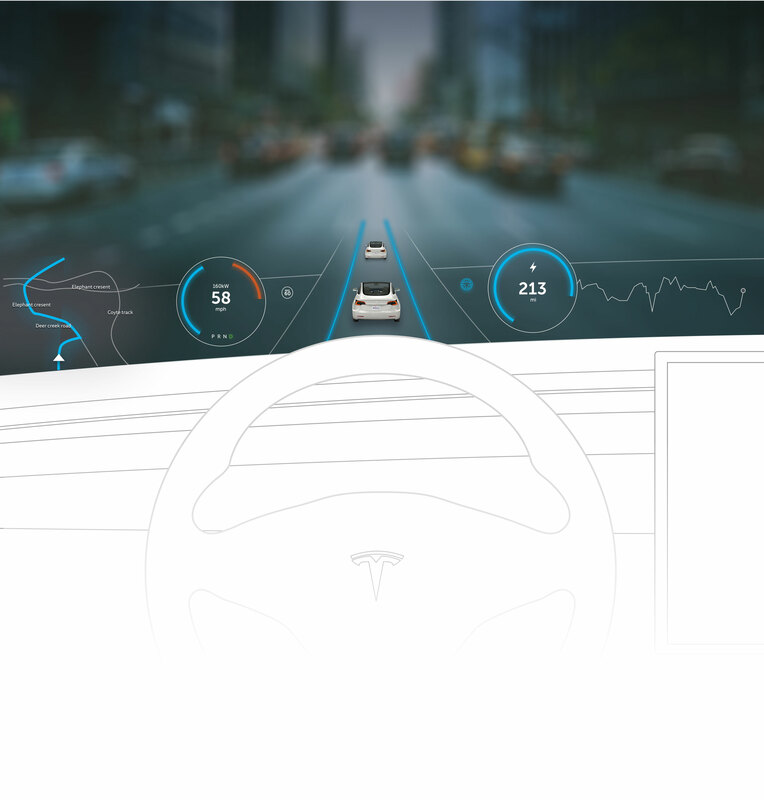 There has been some speculation on the lack of an instrument cluster for Tesla’s prototype for the Model 3. 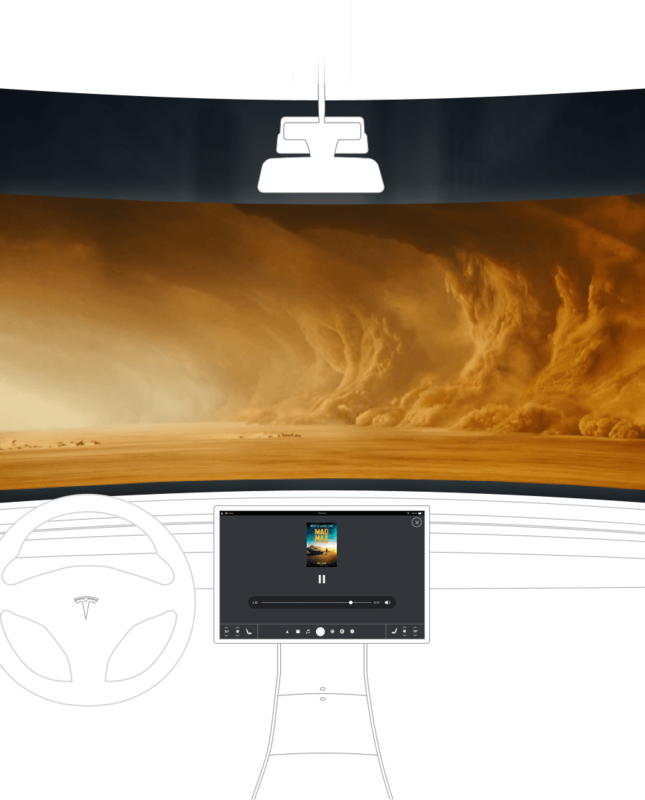 Initially I wasn’t sure if this was just an early version with an evolving interior, but after we learned Tesla had started hiring people in the heads up display space it became fairly clear they were working on replacing the traditional instrument cluster with a projection onto the windscreen. Its also interesting looking at the seating position in the Model 3, its quite far forward, giving you an unobstructed view of the lower portion of the windscreen without blocking your view of the road. I started to think about how this could look, what the applications were and kind of got a little bit carried away, so here it all is in a blog post. The really good news is we’ll find out just how much of this speculation is true in just a few weeks when Telsa drop the Model 3 (part 2) announcement. 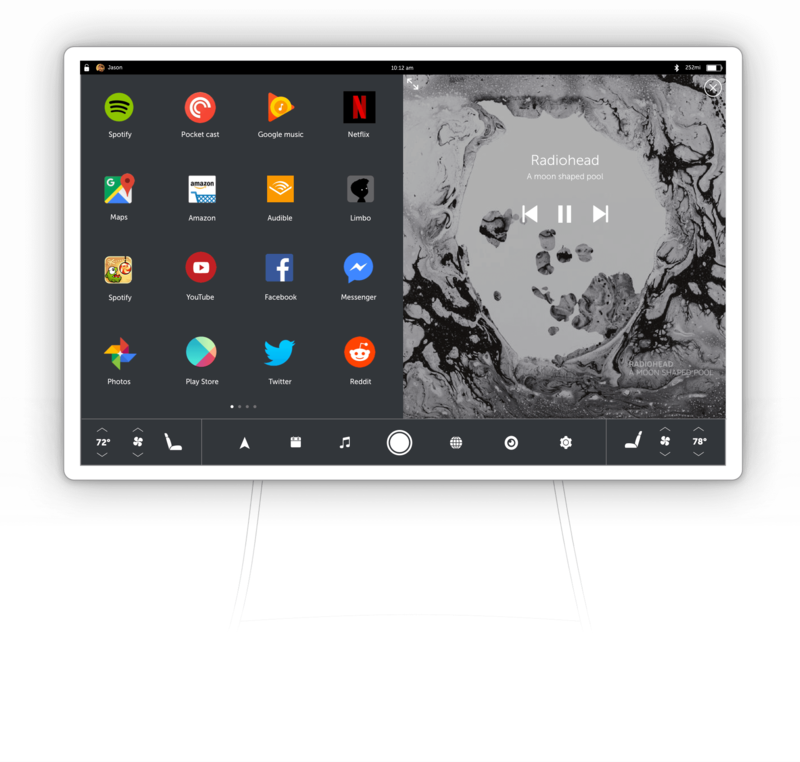 It would be very useful to have the ability to holster your phone in the charging port and have all your apps and content mirrored in your car. A hybrid interface with dedicated controls relevant to car along with all your familiar apps and content. 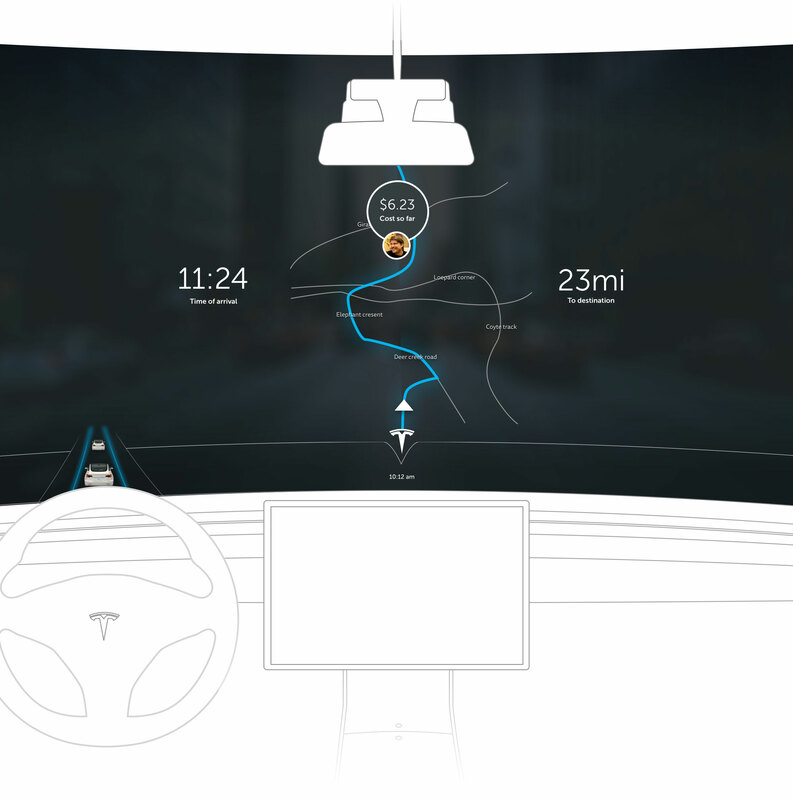 The orientation of the screen has been rotated to landscape as noted in Model 3 prototypes, I suspect that’s a strategic decision, making the screen more accessible to passengers and not just directed towards the driver. Smart glass can change its light transmission properties by applying voltage. The glass can change from transparent to translucent by blocking some wavelengths of light. It can provide more privacy when traveling longer distances and can also be useful blocking out a little more sun on Tesla’s all glass roof. By cutting down ambient light in the cabin and darkening the surface it can also be a much better surface to project onto. 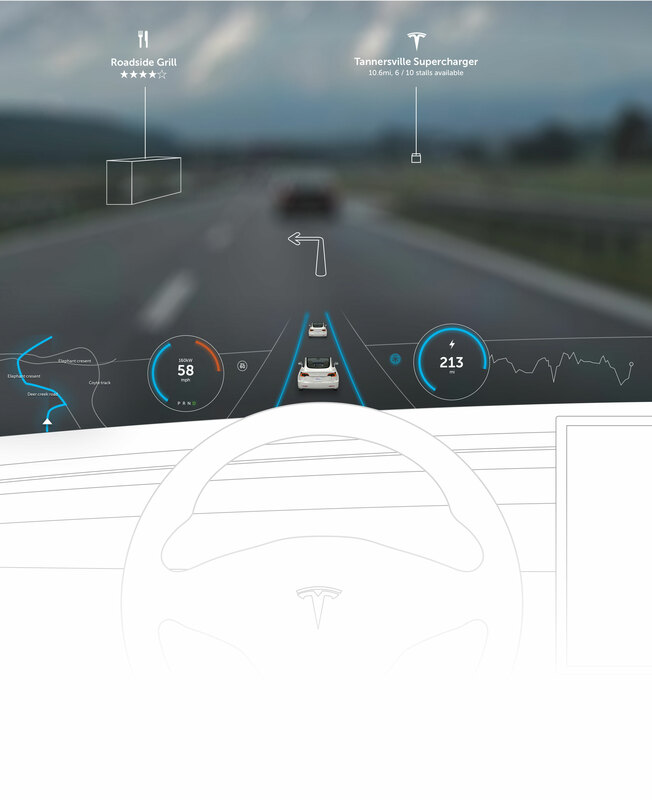 Autonomous vehicles are a good example of where this technology could be used, with the glass shaded you can project media and ride information directly onto the screen in front of you. The experience has been stripped back to focus less on the operation of the car and more on entertainment and arrival information. 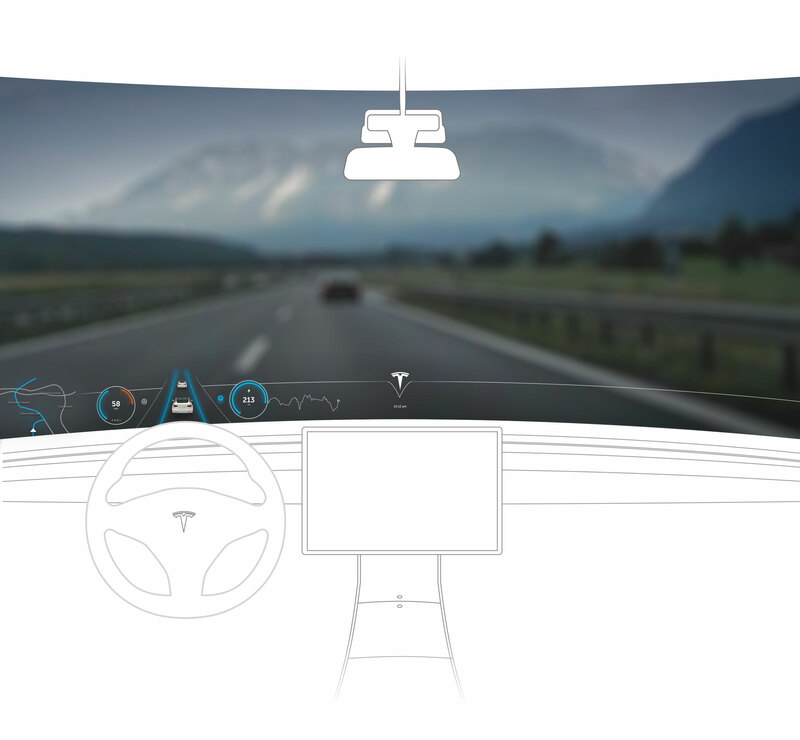 Combine head tracking with projection and you can pinpoint objects through the windscreen of the car, you could project driving directions, points of interest or the next Supercharger. I’m not particularly bullish on this idea mostly because the projection is directed towards one occupant of the car, not the best experience for all passengers.